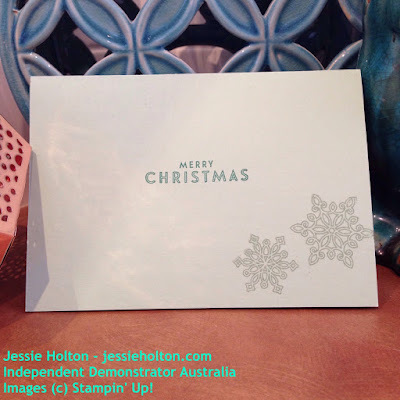 I started with the Mint Macaron carstock base & stamped it with the Hardwood background stamp, also in Mint Macaron. 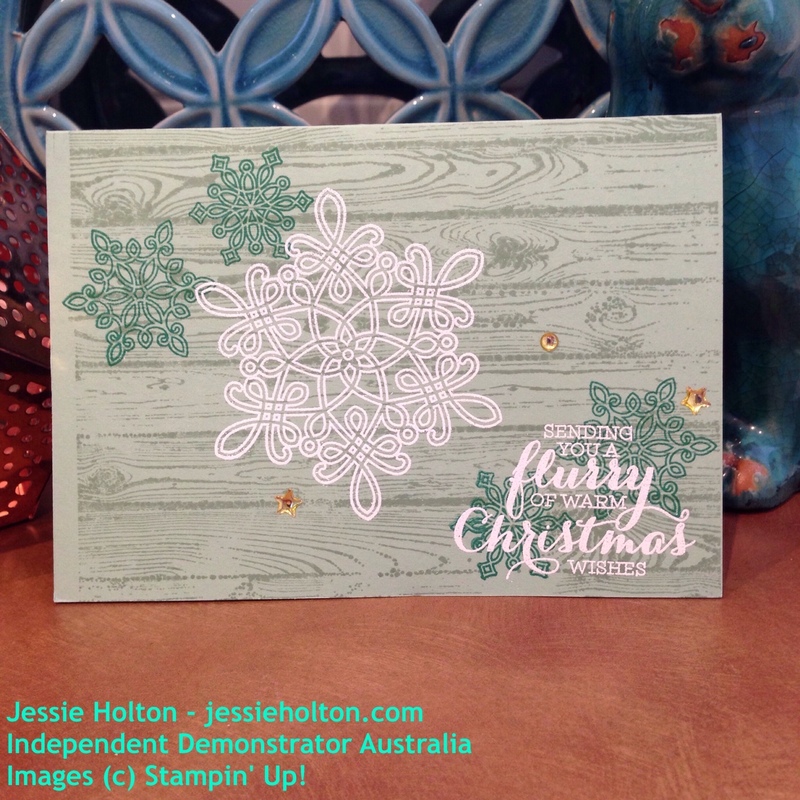 Then I added the smaller snowflakes in Emerald Envy & the largest snowflake & sentiment in White Heat Embossing (set with Versamark & the Heat Tool). Make sure you rub your card over with the Embossing Buddy first for a clean heat embossed image. All of the images & sentiments I have used come from the Flurry of Wishes stamp set & it also has a matching punch for the two smaller snowflakes. 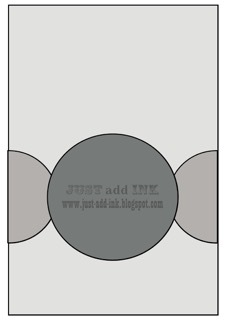 I also added a few of the Metallic Enamel Shapes. I have also stamped the inside with the smaller snowflakes, this time in Mint Macaron & the sentiment in Emerald Envy.